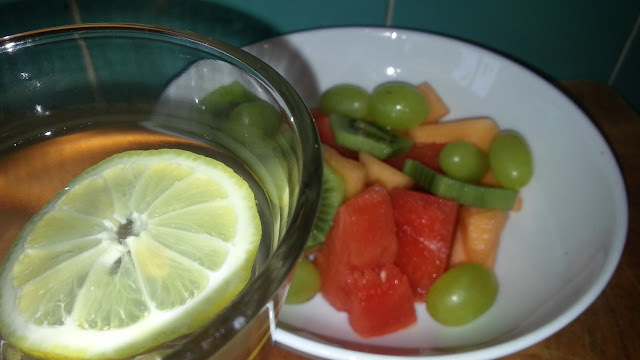 Breakfast this morning was a fruit bowl with a glass of lemon water. We had water melon, cantaloup melon, kiwi fruit and grapes - that's it. No additives, no sugar... Just as nature intended. Kate had hers with a Soya Yoghurt Pot. The best thing was watching Charlie (our 2 year old) share Kate's cantaloup melon. It seems our enthusiasm is starting to rub off on the kids.